Do You Prefer Jelly Or Butter On Your Playing Cards? When I sit down to play a hand of poker with some friends, all I really want is a beer and maybe some peanuts. 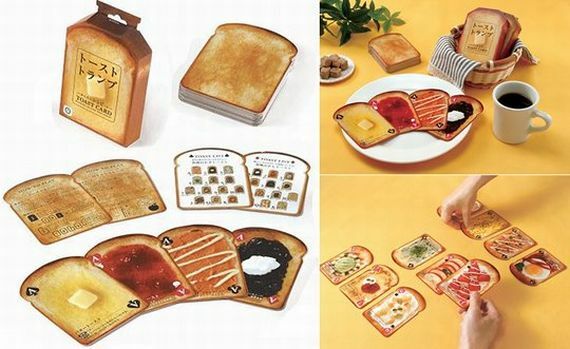 Thanks to these Toast Playing Cards, I’ll never be able to play cards without wanting toast again. Each card shows a different way to prepare toast, and they look surprisingly realistic. These probably aren’t good for playing competitive poker, since it’s likely you would learn which card is which based on what type of toast is on the back, but it would still be fun to play with them. Hmm, I wonder what a full house tastes like?